Have you seen the latest edition of the Northside People?? 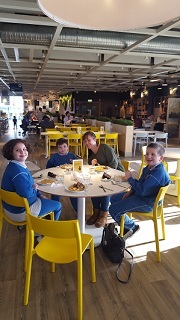 There is a photo on the front page of 6 girls from our school telling everyone about the great work that is being done by the Active School team, the Green School team and the Health Promoting team. Check it out!! Recycling Bins – We’re Losing Count!!! Buying Bins is no Joke!! 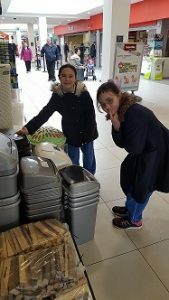 Some of the children from the Green Schools Committee visited Northside Shopping Centre recently to buy new compost bins for the school. They had to make some difficult decisions and stick to the budget. These two little business women even managed to arrange a freebie for themselves. Well done girls!